Where everything is happy, and perhaps a little hazy. Found on Viralever.com, 25 signs that you smoke too much pot. Pretty funny stuff and if anything, it gave me a few ideas regarding smoking! Hehehe… enjoy! An interesting article at the globalpost.com discussing the feasibility of Uruguay importing marijuana from legal growers in Canada. The article does point out that while it may not be practical now for both financial and legal reasons, marijuana trade between nations could be a thing at some time. Read the article yourself at the link below. 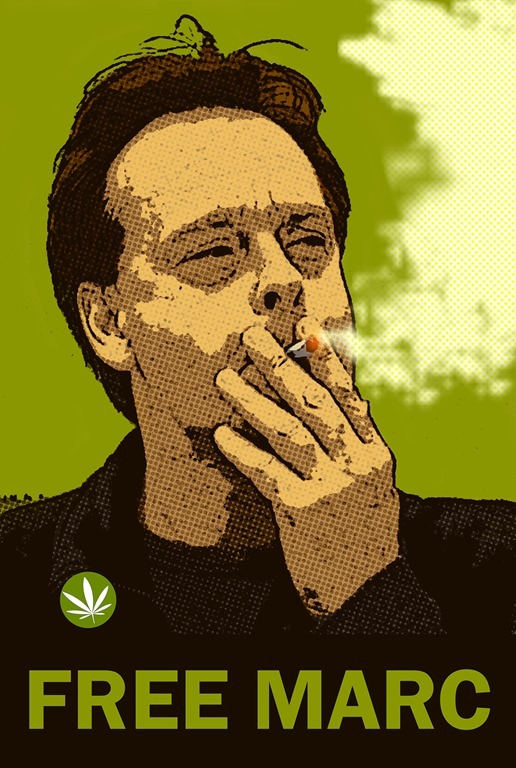 Pot activist, Marc Emery, currently serving time in a California prison for distribution of pot seeds has got the okay to serve the rest of his sentence in a Canadian jail. Marc was extradited to California where he was up on charges related to his Canadian based business of selling pot seeds. Funny thing is, I think he might have had less issues if he were selling illegal weapons (that’s a joke – I have no evidence of one carrying a higher penalty than the other). This is good news for Marc who, in my opinion, should never have been extradited to the U.S. in the first place. Thanks goes goes to my buddy Whorghoul for this link! Jury Refuses to Convict Anyone for Marijuana Possession! They’ve Raided Montreal Medical Dispensaries – Somebody Stop these Assholes! So the police raided Montreal medical pot dispensaries, June 3rd 2010. Arrests are pending while the sick are denied the medication that works for them with the least amount of (harmful) side effects. Somebody has to put a stop to these assholes. Maybe it will be the police chief that says we can’t keep putting innocent people away for doing something that no one really thinks is harmful. Maybe it will be the political leaders that say we’ve punished enough people for something that should be a matter of personal choice. Maybe it will be you and I who steps up and says “No!” loudly and in enough numbers to be heard above the din of the conservative minority. highDEAS Website: Random Pot Thoughts!